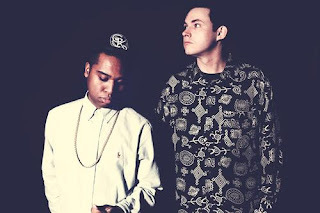 TNGHT - "R U Ready"
The production duo of Lunice and Hudson Mohawke, or as they call themselves TNGHT, are back with a song called "R U Ready." Apparently, the pair shared this track a few weeks back, but after Kanye West had bought it for the Victoria Secret show, it disappeared. It was also mentioned from their Twitter that this was the first TNGHT song ever made. Yet, this is the Internet, so of course this would re-appear. The trap jam will make your speaks wobble and your ears would smile if they could. Stream it below.